General purpose Geiger counter designed for diverse applications including medical, scientific, industrial, safety, environmental, hobbyist, and educational purposes. Optional Data-Acquisition Software Package available (see below). * Detects Alpha, Beta, Gamma, and X-radiation. Click here for an image of the rear/bottom side of the RadAlert. SORRY! OUT OF STOCK ON THIS ITEM, CHECK BACK LATER. * Safety-testing of home items, such as old-style radium-glow watches & clocks, uranium-glass and uranium-containing pottery glazes and ceramics. 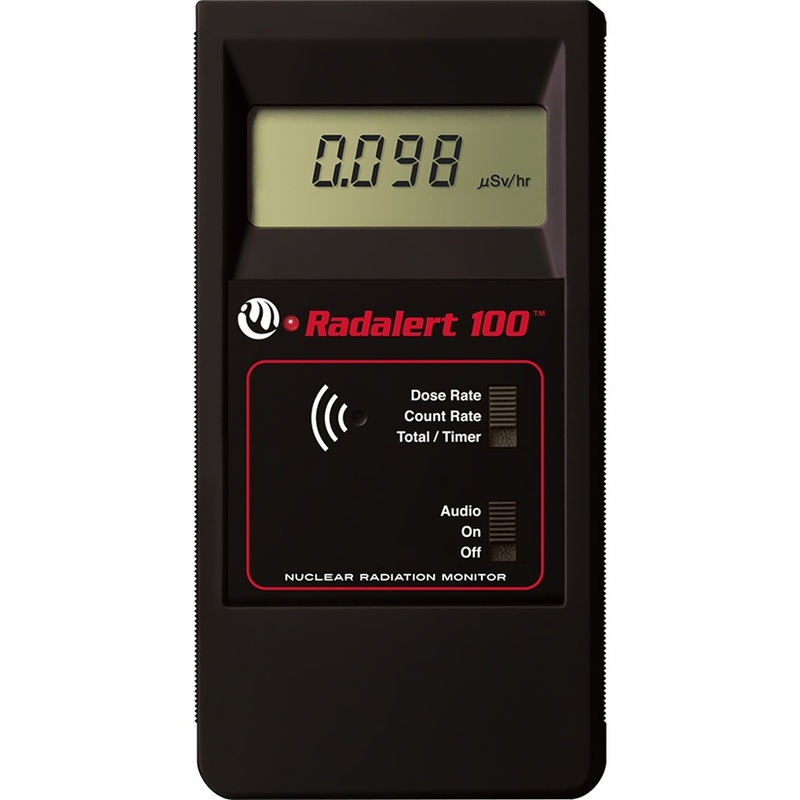 The Radalert 100X Geiger-Muller counter is a breakthrough in price and technology for personal radiation detection and protection. This small unit detects a full spectrum of ionizing radiations, to include x-ray, alpha, beta and gamma, and additionally incorporates an adjustable alarm feature, to automatically alert you to higher-than-normal radiation levels. During normal operation, the counts per minute appear on the digital display, with a flashing red LED and audio chirp (which can be shut off if desired), refreshing each minute. Or it can be set to gather the radiation dose over time if set into the totaling mode. 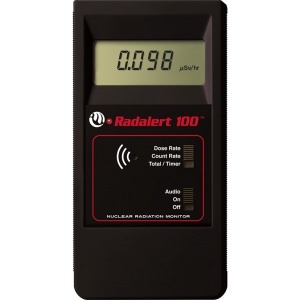 The RadAlert can thereby be used for seeking out radiaiton "hot-spots" or evaluating materials which give immediate strong reactions, or alternatively allow one to make averaging determinations of low level radiation exposures over longer periods. 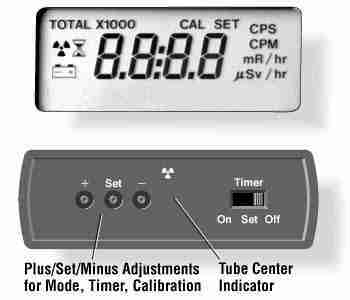 The time-totaling feature is useful when evaluating low-level exposures from devices, materials or locations (as from TV's, CRT's, radiation-containing rocks, or Radon in a basement). One can then compare such timed readings to similar readings made in the open air, from background radiation alone. The RadAlert easily fits into a briefcase, purse, or large pocket, and has a belt clip for easy carrying and access. It operates from an included standard 9 volt battery for easy portable use. The RadAlert 100X also offers an accumulated total counts and timer function, up to 9,999,000 counts or 40 hours. A red LED blinks and a beeper chirps with each count (the chirp can be muted). An audible alert sounds when the radiation reaches a user-adjustable level. 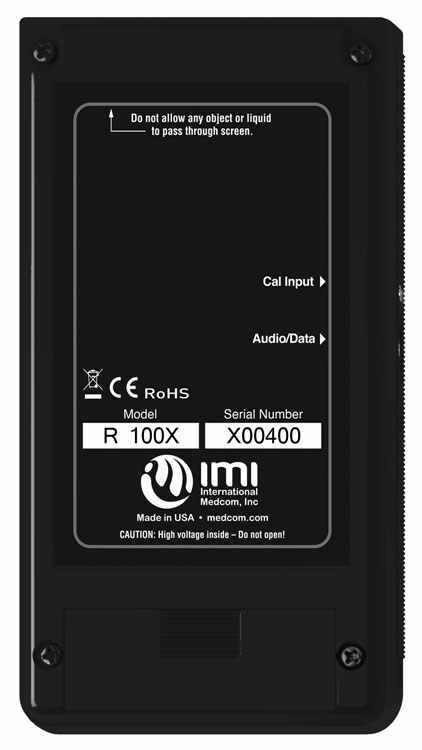 The Radalert 100X meets CE certification requirements for Europe. Sensor: Halogen-quenched GM detector tube (LND712). Mica end window density of 1.5 - 2.0 mg/cm2. Side wall is 0.012" #446 stainless steel. Alert: Beeper sounds the alert. Alert level is adjustable to 60,000 CPM, 50 mR/hr and 500 µSv/hr. Audio: Chirps for each count (can be muted). Anti-Saturation: Readout holds at full scale in fields up to 100 times the maximum. Timer: Can set sampling periods of 1 minute to 40 hours, to a maximum of 9,999,000 counts. 1. Counts to computer or data logger collection systems, such as "Geigergraph" (see below), or Vernier "Logger Pro" (Macintosh or Windows) or similar DAQ devices. 2. Can also be used as an audio output to an external earpiece, amplifier, or tape recorder. Power: 9-volt battery gives 700 to 2,000 hours continuous use at normal background, depending upon altitude and radiation levels. Operating Temperatures: -20 to +50 deg. C., or -4 to +122 deg. F.
The RADALERT 100X comes assembled and tested, ready to use. Includes battery, carrying case, calibration certificate and operating manual. The included Instruction Manual can also be obtained and examined in advance of your purchase as a downloadable PDF. * Will not jam in high radiation fields. The INSPECTOR-V2 ALERT is identical to the Radalert 100X in size, appearance, and nearly all technical features, except for its larger and more sensitive 2" detector tube. Click for a larger image of the rear side of the Inspector-V2. Sensor: Halogen-quenched GM detector tube, effective diameter 1.75" (45 mm). Mica window density of 1.5 - 2.0 mg/cm2. Accuracy: +/- 10% typical; +/-15% max. Alert: Beeper sounds the alert. Alert level is adjustable to 160,000 CPM, 50 mR/hr and 500 µSv/hr. Averaging Periods: Display updates every 3 seconds, showing the average for the past 30-second time period at normal levels. The averaging period decreases as the radiation level increases. The INSPECTOR-V2 ALERT comes assembled and tested, ready to use. "GEIGERGRAPH" Computer Monitoring Program and Interface Cord. The GeigerGraph software works with the Radalert 100X (or the older Radalert 100 or 50 model, or the Inspector models) by receiving each pulse or count from the instrument to your Windows-PC computer using the included data cable. It then displays and graphs the Current reading, an Average, and Minimum and Maximum counts per minute (CPM) over the test period. The GeigerGraph software is useful for continuous monitoring of environmental radiation. It alerts you to any elevated levels relative to your typical background count. The software gives an audible and visual alert whenever the CPM exceed a user-determined level. For example, in the picture above, the radiation level increases to above the user-set Alert Level of 100 CPM halfway through the test period, and the software issues a visual alert. * Runs on any PC with Windows 95 or higher. Minimum system requirements: Pentium Processor (486 may work), CD-ROM drive (or 3.5" floppy disk drive), available serial port, 16MB RAM (more recommended), 1MB hard drive space, and high color (16 bit) display. * Can run in the background, and notify you only if the radiation level exceeds your pre-set Alert Level. * Saves the radiation count data every minute to a text file that can be exported to a spreadsheet program such as Excel or Lotus 123 for further analysis. * Includes a simulation that mimics the recording and graphing of radiation counts without a Geiger counter. 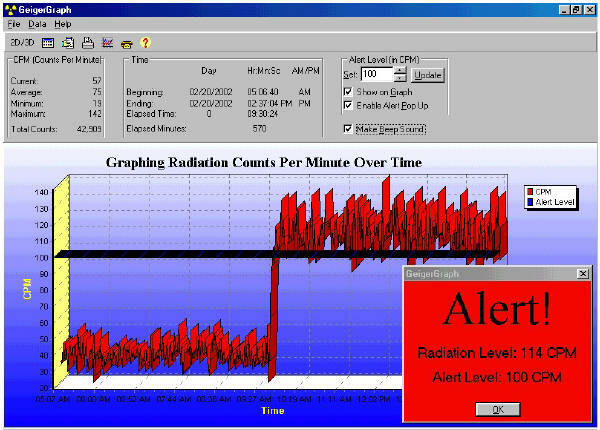 The simulation demonstrates the program, graphing normal background radiation followed by an elevated radiation count from a simulated radioactive "event" that exceeds the alert level. * Includes a data cable with a 3.5 mm stereo plug that plugs into the geiger counter's dual miniature jack. The output at the tip of the plug provides a positive 5 volt pulse each time the Geiger counter detects a count. The other end of the data cable is a 9 pin RS-232 connector for an IBM PC compatible serial port. If you wish to use this with a USB port, you will need to separately purchase an adapter. See the "Note" below. * Comes on a CD-ROM which the user installs on the computer's hard drive, so the CD can be removed after installation for running of the program. Note 1: For USB operation, you will need to purchase an adapter to convert the 9-pin RS-232 cable end into a USB end. We cannot supply that. Do an internet search for "RS232 to USB adapter" and there are many companies selling these. However, we are aware of a problem in using the cheaper RS232/USB adapters with Windows 7 and Vista. For that it is recommended to purchase only those adapters which are described as "Windows 7 and Vista optimized". Click here for one example. 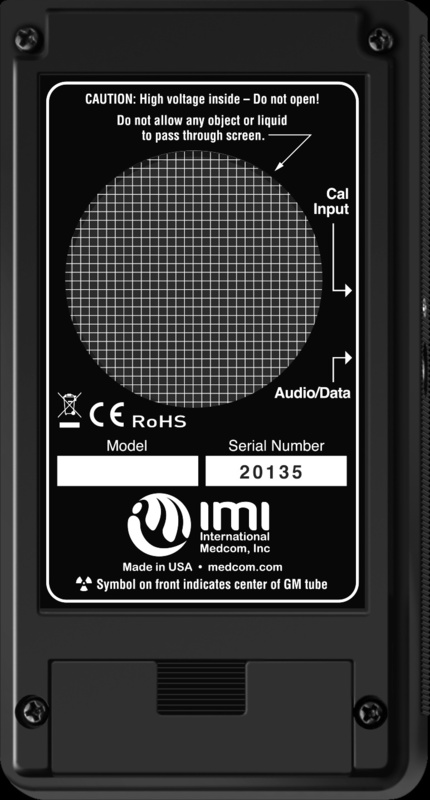 Warranty: The Radalert 100X and Inspector-V2 are warranted by the manufacturer International Medcom against defects of materials and workmanship, excluding abuse or misuse or breakage of parts by the original purchaser, for a period of two years from the date of purchase, and with the following exception: Repeated exposures of the Geiger tube to very high levels of radiation may cause them to malfunction -- only a one-year warranty is therefore offered on that core component. This will not be an issue except for those who plan to use the device in very high radiation environments, close to or exceeding the upper measuring limits of the device. Natural Energy Works has been selling these devices over many years to people who use them to measure low-level radiation in and around their home environments, or at moderate levels during brief exposures to radioactive minerals, and not one has ever malfunctioned. We also have several RadAlerts and Inspectors sold to customers who monitor routine emissions from nearby nuclear power plants, and also working constantly at our facility over many years to measure natural background radiation, and they all have the original GM tubes, working fine. This issue is mainly of concern for those who would repeatedly or constantly expose the device to very high radiation as from extremely radioactive minerals, nuclear accident debris, or atomic waste materials. 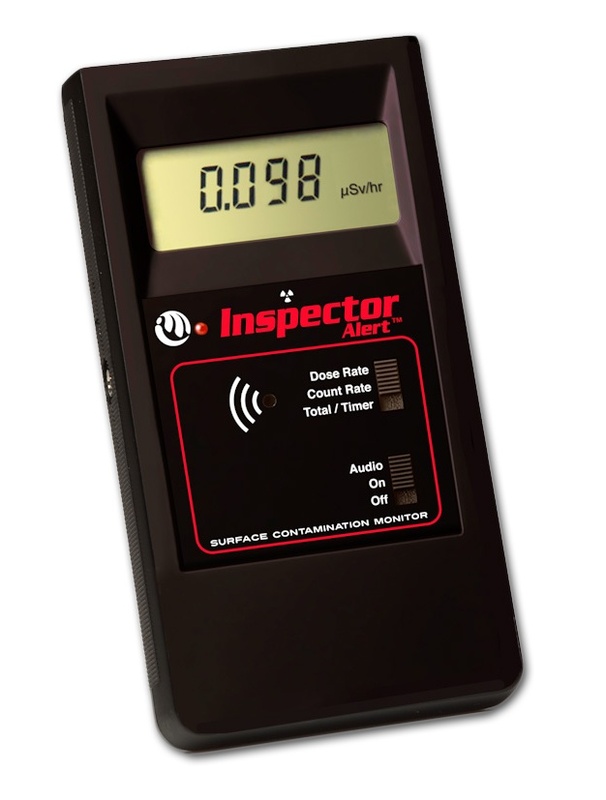 If you do use your RadAlert in a highly contaminated area, be aware the warranty in full is voided if the instrument becomes contaminated with radioactive material. In case of a malfunction, you must contact us for a Return Merchandise Authorization (RMA) and return the item to the repair facility we will provide. Natural Energy Works offers a standard 30-day return of items in their original box with all accessories, all in brand-new condition, if you are dissatisfied with the instrument for any reason. Click here for the full Natural Energy Works Warranty and Returns Policy.